Who doesn’t love a pot roast on a cold, dark December night? I’ve tinkered with my pot roast recipe over the years, but I’ve pretty much settled on this variation since everyone in the family loves it as is. 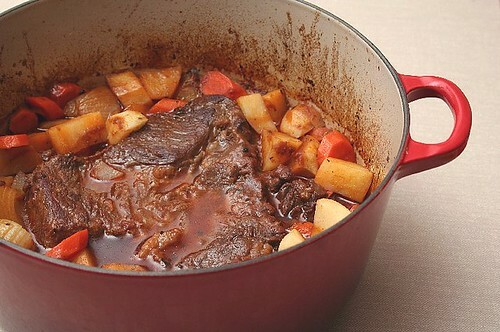 A few pot roast tips: always buy chuck roast (sometimes labeled “pot roast”), use leftover marinara sauce, skip the crock pot and use a heavy dutch oven. Preheat oven to 350º. Heat olive oil in large Dutch oven on medium high heat. 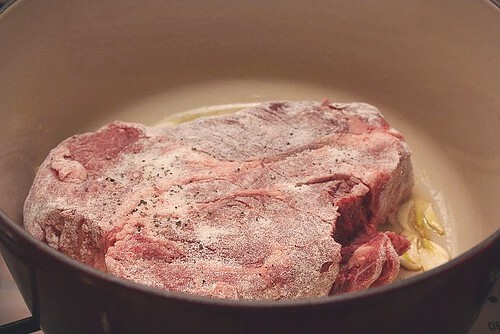 Dredge chuck roast in flour and sprinkle with salt and pepper. Sautee garlic until golden – take garlic out of the pot and put aside. 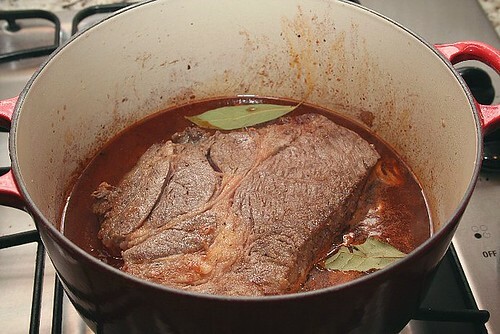 Brown pot roast on both sides – about 4 minutes per side. 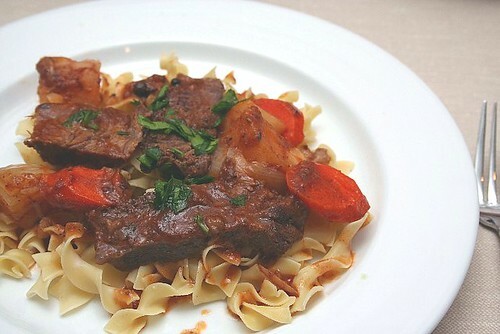 Take out chuck roast and set aside. Pour red wine in and scrape up brown bits with a wooden spoon. Cook for a few minutes until liquid is reduced by half. 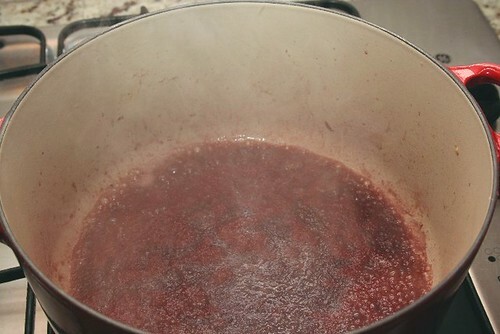 Add beef stock, crushed tomatoes, cooked garlic, chuck roast, allspice berries and bay leaves to pot. Cover and place in oven for one hour. Remove pot from oven. Turn chuck roast over and place potatoes, carrots and onions in pot. Recover and place in oven for 45 minutes more. Ten minutes before pot roast is to be removed, cook noodles according to directions. Remove pot from the oven and slice meat against the grain. Serve over noodles with parsley. Ok: glad to see you’re back! Go Obama! I made a pot roast in that exact same Le Crueset (sp? )this past week. Your DB cake looks fantastic. Mine was good to eat, but not so much to look at. I’ve gone back to make the caramels twice now. Candy is tricky, I’m really into it, but it is so difficult! Happy to be checking in on you now that you’re back. Looks the part and I bet it tastes terrific too! 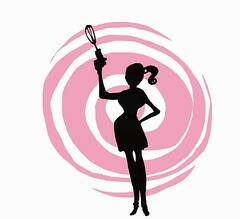 June is Winter here which is why I hunted down a recipe such as yours.